« #MWC11 with all these parties – there have to be some drinking games! #MWC – In an emergency who speaks gibberise? Not that we want to worry you, but as a security enthusiast as well as mobile lover, I insist on being up to speed on emergency procedure whereever I go. But I was wondering if anyone could help me with this from the #GSMA? 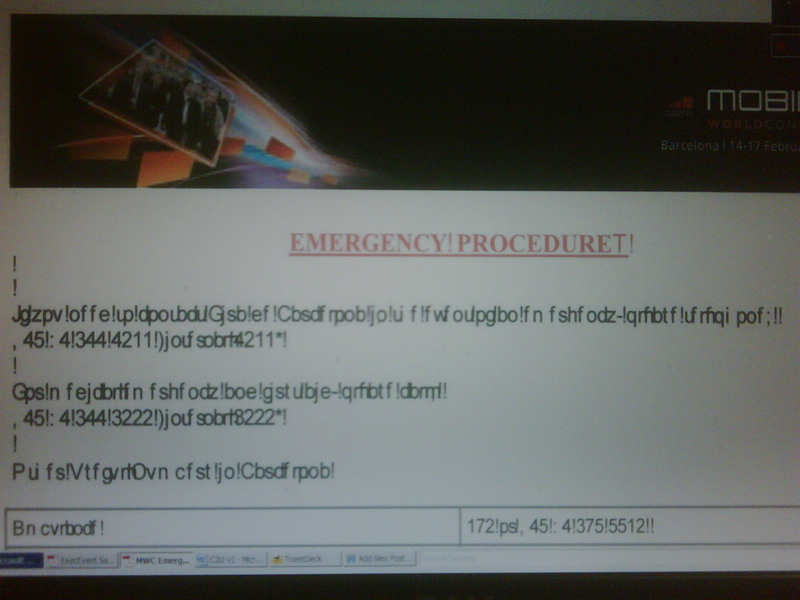 I just don’t follow this emergency procedure at all! Luckily (!>@~) it appears to just be an issue when printed but hey call me old school, but this type of thing I like to print out.